Easy transportation and compact storage. The twist-and-overlap design also means it can be opened with a mere flick of the wrist. 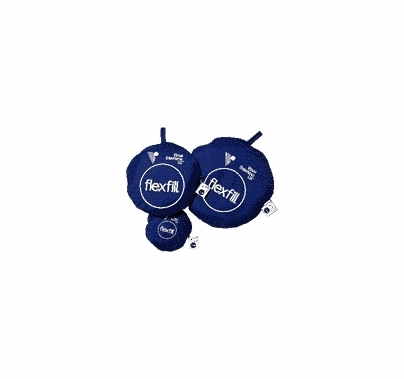 Flexfill Reflectors are made to last, with tough, fade-free materials securely stitched to the fabric sleeve that surrounds their rims. Fabrics are all carefully inspected for any deviations, and when we give you the dimensions of a Flexfill, they represent its useful area. Cheap knockoff reflectors include the rim fabric in their measurements, which greatly reduces their effective area! 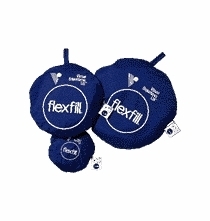 The circular Flexfill is available in 20-, 38-, 48-, and 60-inch diameters. Each Flexfill comes with its own zippered nylon carrying pouch, is fully guaranteed by Visual Departures - and is made in America. It can be mounted on lightstands with the same Flexfill Adjustable Holder that supports circular Flexfills.